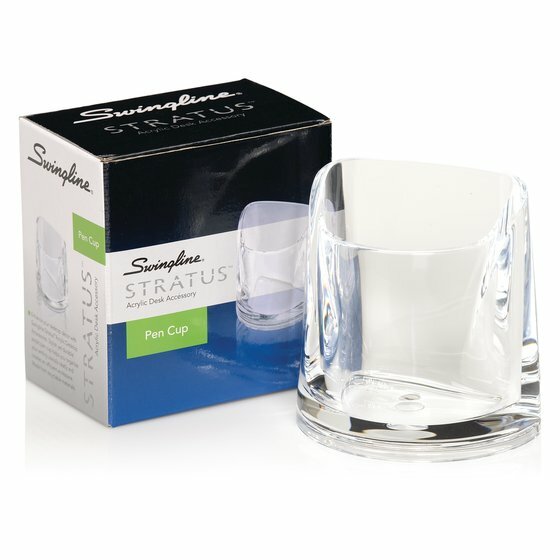 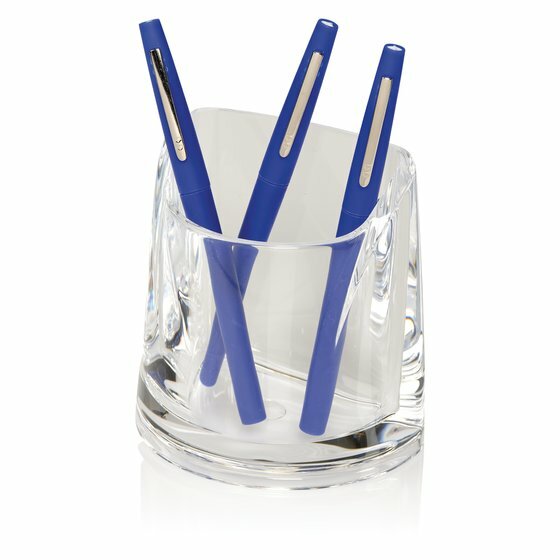 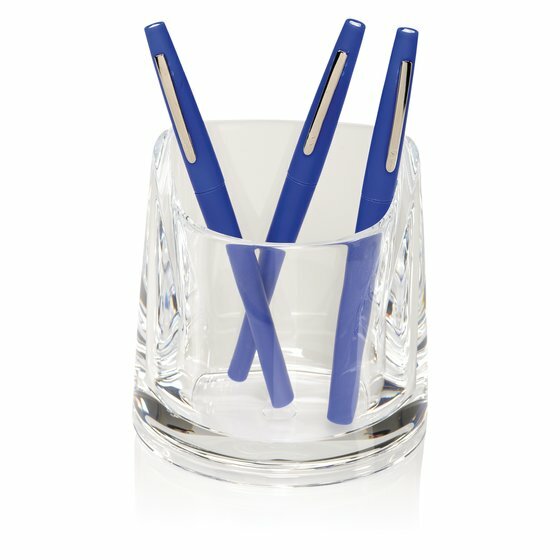 This classy pen cup has a polished, crystal clear finish and is exceptionally sturdy. 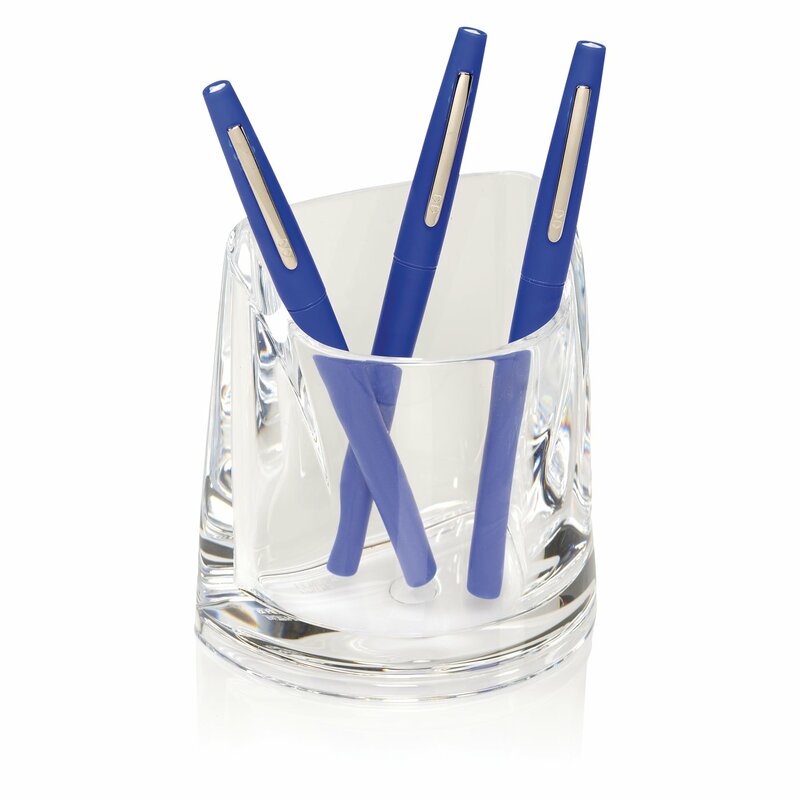 Made of durable acrylic, it stays firmly in place even when filled to the brim. Dimensions: 4 1/4" x 2 3/4" x 4 1/2"